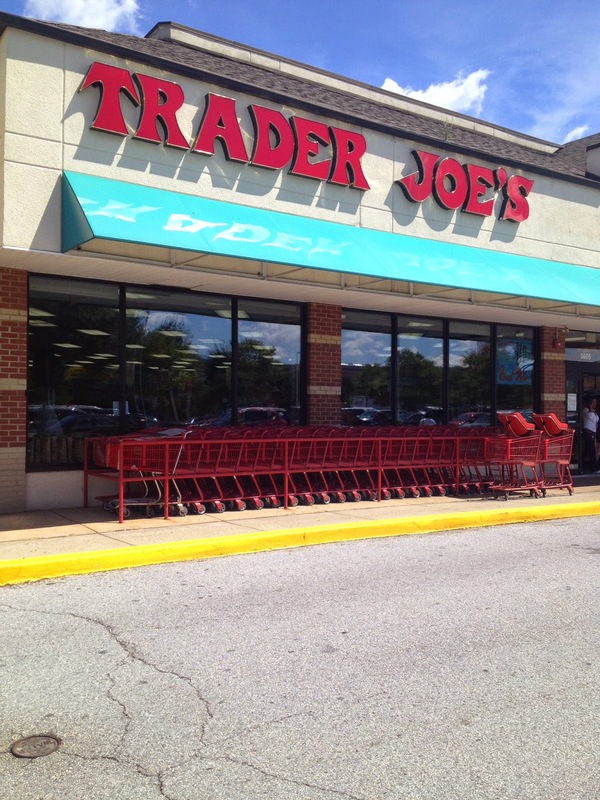 Trader Joe's in Brandywine Hundred, Wilmington, Del. Day 5 of my annual East Coast sojourn, we hit Trader Joe's for those cheese sticks my mom practically lives on and some bread crumbs to make meat loaf. I can tell you it was everything I hoped for and perhaps much, much more. I can't tell you when we're going to get Trader Joe's in Idaho Falls, but I can say for sure that if or when we do they will sell Two Buck Chuck, which this store in Delaware can't. Yep, beer, wine and spirits are all sold at privately owned liquor stores in the Blue Hen State. No beer or wine in the grocery stores. Anyway, this is just to let all you loyal readers know I'm thinking about you land sending good thoughts your way. Trader Joe's thoughts. Dunkin' Donuts, too. Any requests? I've got another 10 days and will lose all the extra pounds when I get home.